Mix everything together well. 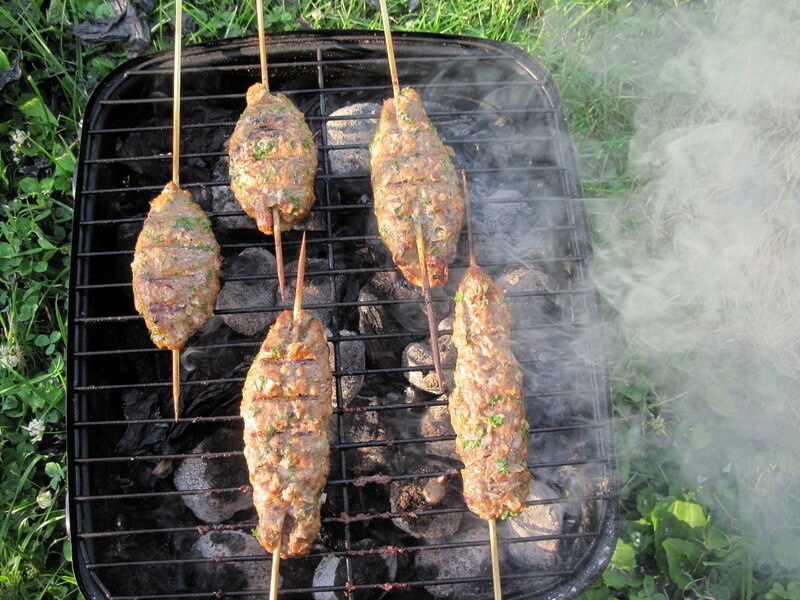 Form into sausage-like shapes around soaked bamboo skewers and refrigerate for at least a half hour or up to 12 hours. Then grill 3-4 minutes a side or until done how you like. Serve with flatbread, tzatziki or whatever. Mmm, kofta. 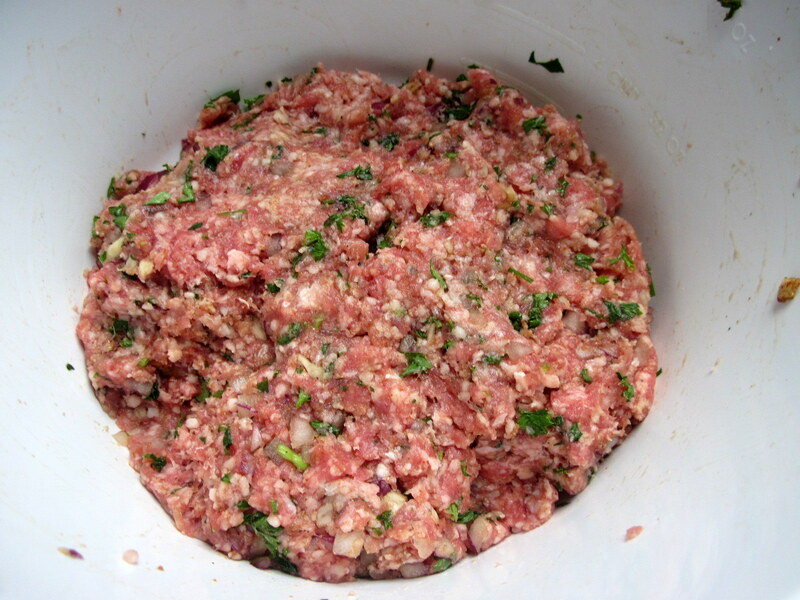 Or is it kofte? Kefta? Koobideh? Depends on where you are or what part of the Near/Middle East you want to claim it’s from. 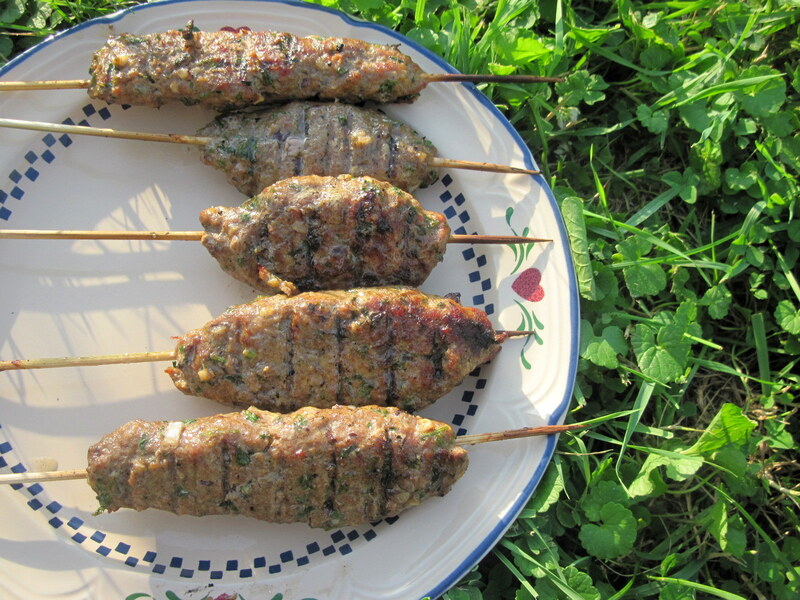 No matter what you call it it’s seasoned ground lamb on a stick, usually grilled and it’s wicked good. You can also make it with beef or probably anything else, it’s your party, but me I like lamb. 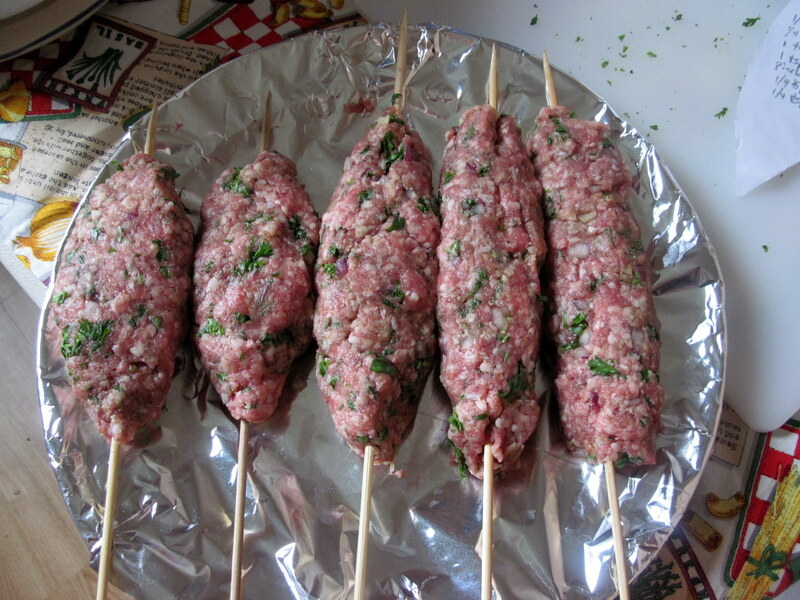 I first came across these a while ago when I was reading about kebabs, which is the category they fall under. Apparently kebab basically means food on a stick and there are approximately a billion different kinds. Now that I have a grill I will be endeavoring to make them all. 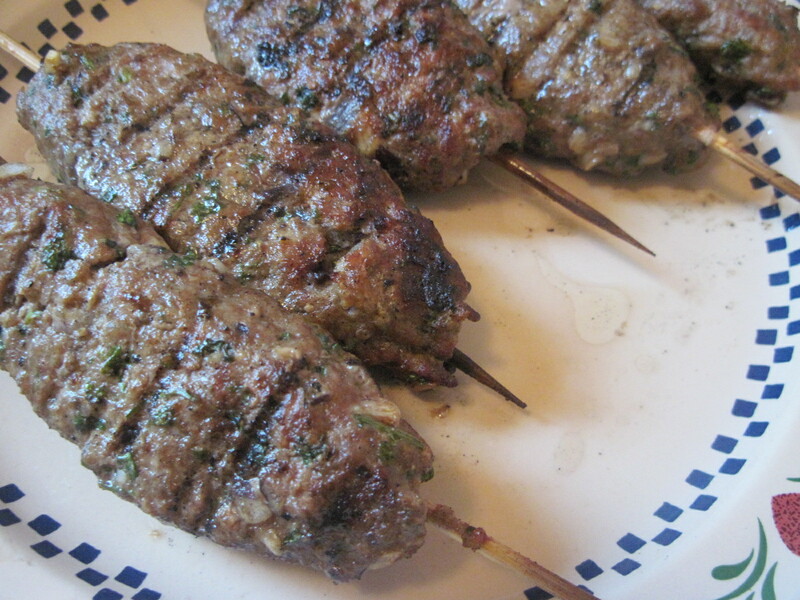 Kofta is my current favorite, probably because it’s the one I’ve had most recently. Heh. 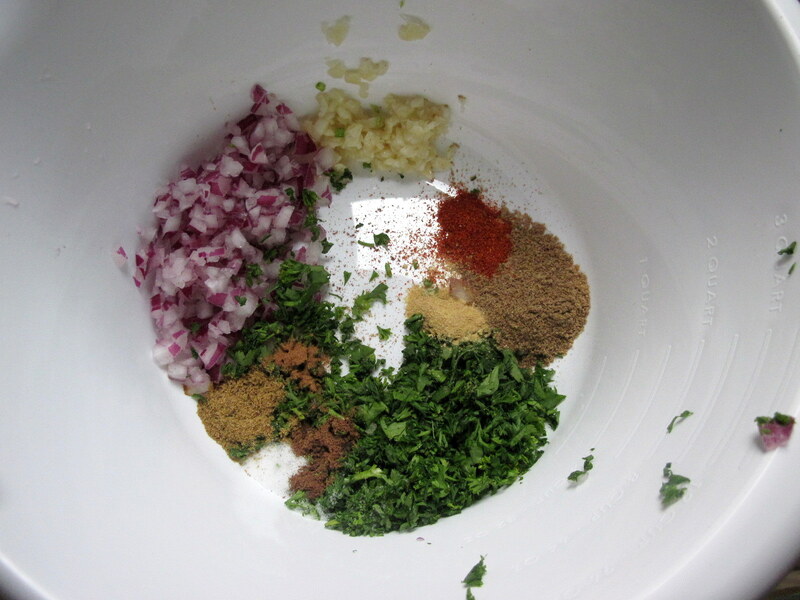 It’s simplicity itself to make them, just take the seasonings. Mix in the meat. Form around skewers and let chill. Grill. Or broil, sear, pan fry, deep fat fry, however you get down. I didn’t get any pics of the sandwiches I made with these, which is too bad because I made an awesome sour cream, red wine vinegar, sriracha sauce for them. Would have used Greek yogurt, but I didn’t have any and one works with what one has. But tzatziki would be good, clearly, or pretty much any bright sauce to cut the richness of the lamb. And they are rich as the smoke from that picture on the grill testifies to. It was hard to get an action shot that wasn’t obscured by smoke. Ah well, next time. Because I will make these again, they were amazing.